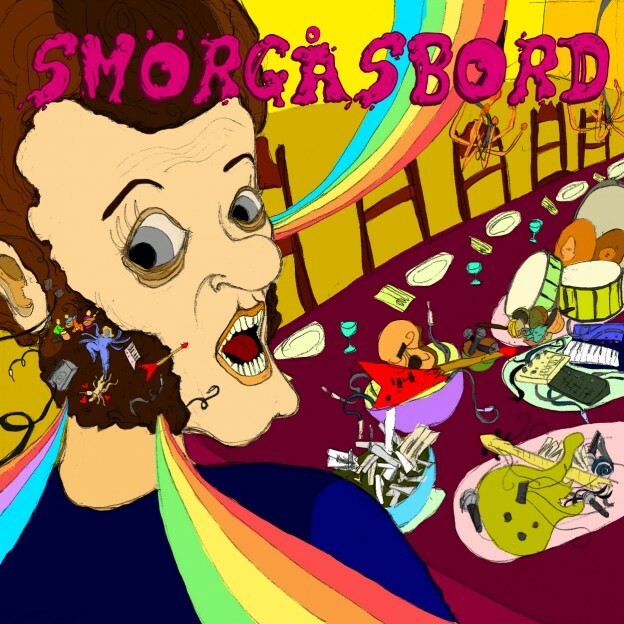 Welcome to the Smörgåsbord, an eclectic selection of delectable audio treats and sonic snacks for your ears. Compiled by Jeremy’s Aura and jointly released by Omnitropic and Maia Brasil Records, this release brings together an extraordinarily talented group of playful, fun-loving musicians. Each and every artist on board has a distinct sound with no compromise to artistic individuality and integrity. This compilation is presented with the simple intention of sharing the one thing we all have in common—the love of music! All music written and produced by the respective artists. Additional credits: Bridget Debernardi (vocals on track 4); Gabrielle Laufer (vocals on track 8); Ariane Brien-Legault (spoken word on track 8); Shantdeep (vocals on track 10). Analogue summing and mastering by Sammy Wags. Original hand-drawn artwork and design by Jeremy Costa. Released by Maia Brasil Records and Omnitropic [OMNI 015]. This post was published December 18, 2014, 6:12 am by Basilisk. Category: Releases. Artists: Jeremy's Aura, Globular, Radioactive Sandwich, Zoungla, Ekoplex, Shantam, TRD, Tron Sepia. Styles: Downtempo, Deep Trance, Psy Dub. 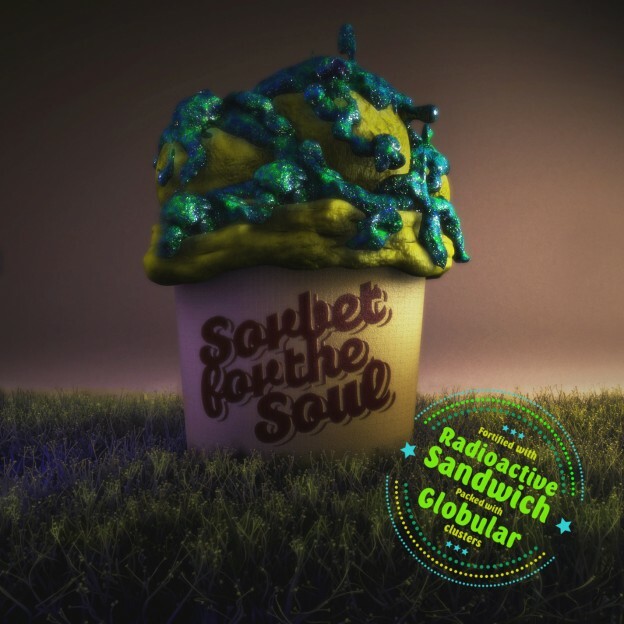 Sorbet For The Soul is a collaboration between Globular (U.K.) and Radioactive Sandwich (U.S.A.), two of Omnitropic‘s hottest downtempo and psychedelic dub acts. This project came about from the desire to combine their amazing talents to create a very special conceptual release. Each artist started with the same set of samples and built their tracks around those sounds. Globular cooked up Lemon while Radioactive Sandwich provided the tasty Mango. They then traded tracks and reinterpreted each others original track; Globular created Mamon from Mango and Radioactive Sandwich created Lengo from Lemon. The end result is a four track release that flows and blends seamlessly, every track containing flavors from the others, much like a tasty summer frozen treat. Artwork by the insanely talented Sid Basu. Mastering by Radioactive Sandwich at Slicetwodio. Released by Omnitropic [OMNI 010]. This post was published March 17, 2013, 7:24 am and updated June 14, 2014, 7:28 am by Basilisk. Category: Releases. Artists: Globular, Radioactive Sandwich. Styles: Downtempo, Psy Dub. Ektoplazm‘s downtempo imprint Omnitropic, in conjunction with Gliese 581C Records, is very proud to present A Self-Fulfilling Prophecy, the momentous full-length debut of Globular (Morison Bennett), a visionary producer from Bristol, U.K. 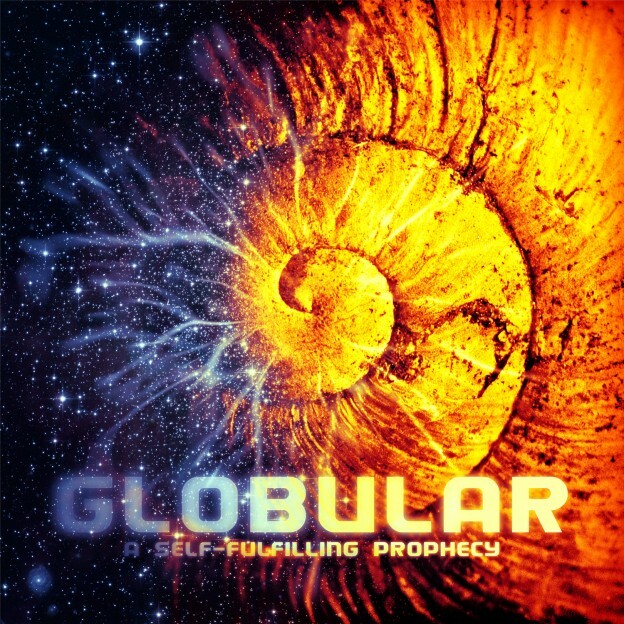 Drawing inspiration from the mind-bending sonic alchemy of Ott and Shpongle, Globular has emerged as one of the rising stars of psychedelic dub, an inimitably British fusion of brawny bass lines, dazzling melodies, intricate rhythmic programming, emotionally-charged vocals, and immersive, otherworldly atmospheres. This is an album that captures the essence of the perfect summer day while offering a rare glimpse of the ineffable, inviting you to “hold infinity in the palm of your hand, and eternity in an hour.” Through its ambitious, sprawling passages, A Self-Fulfilling Prophecy articulates a profound view of the universe’s tendency toward complexity, the twist of fate that gave rise to life and consciousness, and our morally ambiguous role in the mysterious and impenetrable cosmic drama unfolding all around us. Mastered by Colin Bennun at the Stooodio, Bristol, U.K.
Creative Commons-licensed photos by Luc Viator. Public domain imagery from NASA. Artwork by Alexander Synaptic (more info). Released by Omnitropic [OMNI 008]. This post was published March 23, 2012, 7:12 am and updated June 14, 2014, 7:39 am by Basilisk. Category: Releases. Artists: Globular. Styles: Downtempo, Psy Dub.